Wanna know something else pretty cool?! My inky supplies have busted their way outta prison their boxes! Hooray! We've got the Easter Holidays approaching next week so it's gonna be two weeks of some serious inking for me! But enough babbling about super news, I'm guessing you're here to see a project, right? So why not let spring take your mojo on an adventure and join in the fun? Your project needs only one PTI product on it to qualify! Thank you so, so, much for stopping by - promise to catch up with y'all very soon! Glad to hear about your Dad. Not sure what happened but wishing you all the best of luck. Your cards are so cute. I just love PTI dotty biscotti! Lovely Tags and cards Aimes. I am so glad your Dad is back home. Enjoy n have fun during the Easter holidays. Welcome back! So good to "see" you are out and about again. Hope all the boxes are banished now. Love the tags and the cards for that matter! So happy for you that your pappa is coming home! Yay! too for the liberation of your crafty stash - goodness I have missed your happiness. Absolutely gorgeous creations and well if that ain't the most scrumptious combo - polka dots and kraft - yum, yum! That is great news! So happy for both of you! Glad to hear you have your crafty stuff back again. Cute cards and tags too! Love the tags, you should enter them in the Moxie Fab gift wrap challenge! Those are some yummo color combinations! Wonderful, wonderful news about your dad! So happy for him and your entire family! And we are so happy that YOU'RE BACK! Great tags...and we've missed you out here in blog land! Enjoy your upcoming holidays!! I'm so glad to hear about your Dad! Pleased to hear that both your dad and your craft stash are free! 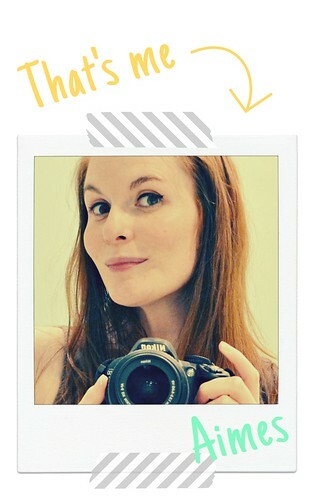 :) Love those cards - that dotty paper is awesome! Great news about your Dad!!!!!!!!! Great little giftie sets!!!! Sooo good to see ya blogging! Totally adorable cards and tags; you just have the magic touch!! Great news about your Daddy-o, too - that's wonderful! Hey girlfriend! SO happy to see you and so happy to hear about your dad! I am glad you a chance to get crafty! Your packages are so cute and I love the matching cards! I am happy to hear your super news! And glad to see what you've created lately, very cute! I like the way the color pops agains the kraft. So happy that your dad is finally home and on the mend. Cute cards and I'll bet the 'stamping supplies' are happy to be free too! What GORGEOUS packages Aimes! Love the matching cards too - your colours just sing together! I'm soooooo happy to hear about your Dad! It's been such a long road for your family ... and I hope you have permanently inky fingers for 2 weeks straight! :0)! WOOOHOOOO!!!! Can you hear that all the way from Canada?!?! YAY!! I am so happy for you and especially your Dad!!! AWESOME NEWS!!! Your cards, tags and packages look FABULOUS! Fun colors and beautiful as always girl!!! So glad some of your crafty materials were freed from boxes too! Congrats on your Moxie Fab World shout out for this set. Great news about your dad and beautiful projects! Praise God your Dad is doing much better! Love what you have done with the Moxie Fab Challenge Amy! Love the natural of the brown packaging paper with the sleekness of the ribbon and colours you decided to use. Amazingly created! 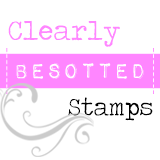 No ink and no stamps....*gasp*!